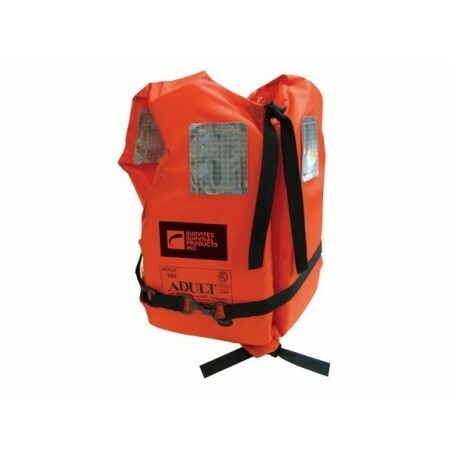 USCG Approved Type I PFD. Designed to turn an unconscious person from face down in the water to a vertical or slightly backward position. Units with reflective tape (RT) meet or exceed all requirements for commercial vessels carrying passengers for hire. The safest and most comfortable TYPE I available. Reversible design. By buying this product you can collect up to 900 loyalty points. Your cart will total 900 points that can be converted into a voucher of 0. Brand: Survitec Survival Products Inc.